I can't believe that Monday is July 1st! Wowsers the time is going by WAY too quickly. First though, I should remind any of my beloved readers that if you view my blog in Google Reader, you won't be able to come July 1st. Google Reader is going away, but I've heard good things about 2 alternatives: Bloglovin' and Feedly. Here's a few convenient buttons where you can start following Snugglebug University in those readers. I also added these buttons to my sidebar. 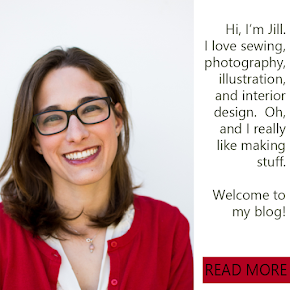 You can still follow me on Pinterest, Facebook, and via email too, that hasn't changed! Alright, enough housekeeping. Back to July...and the 4th of July! We've had a LONG and exhausting and rather sick-filled week at home. My one sick kid recovered with about 150% energy (to make up for all the time that she had so little, I guess.) Of course I was super sick at this point, which left me scrambling for activities to keep two highly energetic kids happy. My kids enjoyed making tissue paper "stained glass" windows at a friend's house last week (THANKS MARY!!! ), so we decided to try it at home, since I had some contact paper and tissue paper on hand. I sketched out a quick (and yes, highly inaccurate flag) taped it to the table. Then taped a piece of contact paper (sticky side) up. The kids cut of pieces of tissue paper and went to town placing them down (using my quick sketch as a guide). Once the flag was 'filled in' we removed the contact paper and attached it directly to the window. Lu was rather distressed by the lack of stars, so we added them to the back with a sharpie marker. From outside the house, our flag looks lovely, don't you think? Each stamp was accompanied by a 'boom, boom,boom!' chant" I don't think I've ever had an art project be quite so LOUD! The kids had a blast though. Overall, it was a success, except for the fact that I should have let them do the fireworks outside. All those 'boom, boom, boom" fireworks seems to have left our sunroom COVERED in paint. Thank goodness we used washable paint and it came up rather easily! Have a great weekend everyone, and don't forget to switch over to a new blog reader!